VCBC Celebrates 23 years of operation! The 1960s counterculture fostered movements for organic food, natural childbirth, civil rights, participatory democracy, and new concepts of community based on non-violence, non-commercialism and unfettered joy. Activists of this era created change by altering frames of reference, frames that determined how they and others understood the world. They invented consciousness-altering events: street theatre, music festivals, psychedelic happenings, ‘be-ins,’ iconic road trips, and spaces for consuming and enjoying cannabis. They invented, as well, news forms of spirituality. They embraced rituals, some original and some borrowed from Eastern, Native and older Pagan traditions that used entheogens. This fusion of politics, theatre and spirituality has remained integral to the cannabis movement, sustaining it through injustice and state violence, and also through its internal struggles. Essential to both challenges have been ongoing experiments and new traditions in resolving conflict through non-violence. Today’s blog looks at one such tradition: the Temple Dragons, an alternative, currently practicing security group established by activist and innovator Steven Hager. 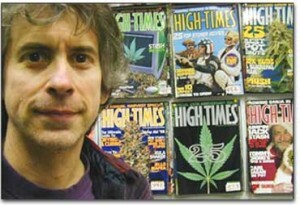 Editor in chief of High Times Magazine from 1988 until 2003, Hager is credited with moving that publication toward a more cannabis-focused and spiritual outlook. He was the first editor to publish Jack Herer’s work on hemp, and the first to promote the ritual of 420 outside of Marin County. 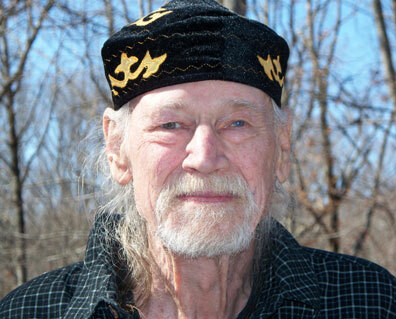 He is the creator of The Freedom Fighters, the first American hemp legalization group. He writes frequently on politics and popular culture, and has produced and participated in a number of documentary films. In 1987 he created the first Cannabis Cup Award ceremony held in Amsterdam; it was for this event that the Temple Dragons were summoned. Hippie Security, as Hager calls it, is a unique, evolved method for keeping the peace at large alternative social events or settings for which police presence is either inappropriate or entirely contradictory. Alternative events in Vancouver BC of the 1960s saw very little of this kind of security. The population was small and homogenous, and the activities, fleeting. Larger, more anonymous events and sustained communities require it. Temple Dragons are guardians of the spirit. They can appear spontaneously where needed. There were black men, for example, who stood in front of stores to prevent looting at last August’s shooting tragedy in Ferguson, Missouri, Hager notes. They were the Temple Dragons of their community. All cannabis communities need protectors of that kind. Temple Dragon philosophy as developed by Hager was inspired by the work of 1960s pioneers. 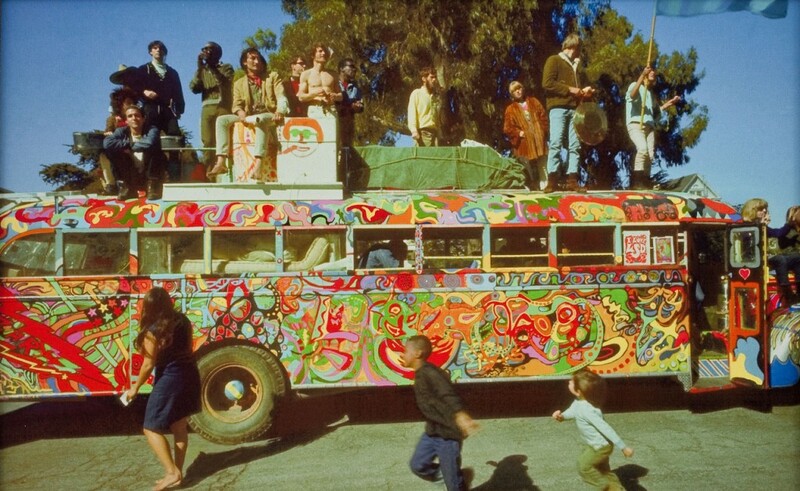 Especially influential were The Merry Pranksters, the wild band of counter-culturists who in 1964 drove an even more wildly painted bus named “Furthur” from Oregon to the World Fair in New York. Members of the group included Ken Kesey, Ken Babbs, Neal Cassady, Stewart Brand and in subsequent years, The Warlocks, later to be known as The Grateful Dead. Their aim was to forge an interface between neo-psychedelic and “straight” culture. They did. 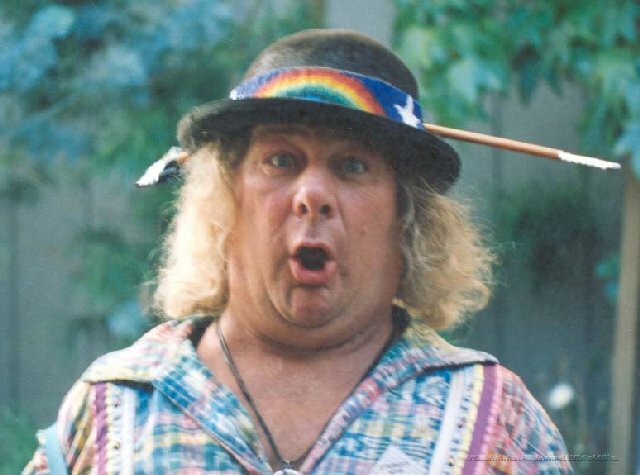 A key Prankster and Proto Dragon was Wavy Gravy, divine street clown, improvisational actor and major do-gooder, who took his name in a moment of transcendence. Wavy was central to The Hog farm, a longstanding California commune. Known for skill and group spirit, Hog farm members were invited to the first Woodstock Festival—flown in initially to help with the set-up. Whilst there, Wavy held workshops on theatrical improvisation. Steve Hager, also in attendance, participated. Wavy told him he had “Great Flow.” Woodstock, held on Max Yasgur’s 600-acre dairy farm in 1969 from August 15 -18, was billed as Three Days of Peace and Music. It was, too, partially thanks to the wacky attitude of its security team. Here’s Wavy’s take on the job. “What we had [initially] agreed to do was clear trails and dig fire pits—I even ordered up a bear suit and a rubber shovel; should some hippie make a dumb fire I would pop up out of the bushes in a bear suit and blow his brain…[but] this reporter tells [us] we have now been hired to do security. I asked him if he felt secure and he says ‘Yes’ and I say, ‘Well it must be working’ and he says, ‘What are you going to use for crowd control?’ and I said ‘cream pies and seltzer bottles.’ Wavy wasn’t entirely kidding. His group, which styled itself the Please Force, provided security armbands—bright red with a picture of a flying pig—to everyone acting in a responsible manner. Part clowning, part theatre, and part faith in humanity, the system worked. Woodstock had 400,000 guests and no fights. More inspiration has come from a Dutch counterculture group—the Provo Movement. Active in the mid 60s, members of this group, too, used performance art, inventing pranks to battle what they saw as social indifference. In particular they took on the task of reframing public perceptions of the police. Provo activists got themselves busted for smoking tea, hay and other sorts of herbs. They squatted in empty buildings and got tossed out. They aimed overtly to instruct Dutch youth in the principles of anarchism. The Provos ended their activities in 1967 when one of them won a seat on City Council. Their lessons remain. In 1988 Hager drove his own iconic bus, painted by New York graffiti artists, to the Ann Arbor Hash Bash. His second bus, painted purple, travelled throughout the years 1989-91 to other Hash Bashes, Harvest Festivals, Hemp Freedom Rallies and Rainbow Family Gatherings. These latter gatherings provided still more ‘security’ teachings to be absorbed. The Rainbow Family of Light, initiated in 1972 as an assembly of Northern Californian tribes, has been creating temporary intentional communities for the past forty-two years. For The Rainbow Family, mainstream culture is exploitative, and out of harmony with the natural systems of the planet. The Family attempts, for a week or more each year, to become a living, harmonious alternative. It has no formal fixed leadership; its guardians are a group known as the Shanti Sena (Peace Eyes). They observe and shadow the movements of law enforcement officers, and keep an eye open for developing conflict. Shanti Sena guardians are inclined to approach spiraling skirmishes by surrounding participants, chanting OM, and talking with them at length. They express no anger and they make no threats. Goofy as this method can sound, it has proven to be effective, and ought to be used daily. It startles warring parties, and then nudges them toward another way of viewing their problems. In the spirit of improvisational theatre, it places them in a new frame of reference or as some like to say, a new movie. Two of the Rainbow Family’s founding members, Barry “Plunker” Adams and Garrick Beck now attend annual Cannabis Cup Award ceremonies as Temple Dragons. 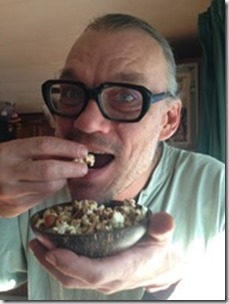 Stephen Gaskin founding member of The Farm in Tennessee has provided further inspiration. The Farm dates from 1971, and is a longstanding intentional community, still in operation. The Farm started out as a caravan of 60 buses, vans and trucks travelling from San Francisco on a four month speaking tour. They bought land and they have thrived. 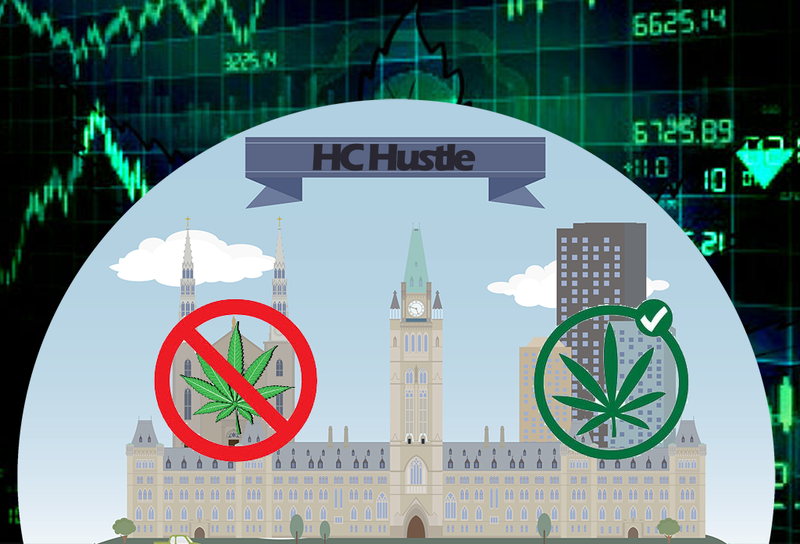 Hager had heard Gaskin speak at a Cannabis Cup ceremony and at some large 420 Councils. Farm members live communally and believe in the holiness of life and in marijuana as a sacrament. Temple Dragons carry that sensibility with them. In 1997 this sensibility faced an important challenge. 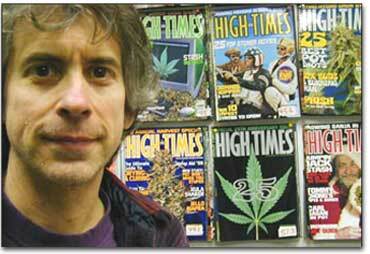 That year High Times advertised the first Hemp World’s Fair in Oregon. They found a site and Hager flew out to construct stages, and develop plans for water, power lines, kitchens and booths. For security he hired Shanti-Sena master, Amazin’ Dave, Temple Dragons Plunker and Garrick, noted above, and others. One day during the event Hager sensed a bad vibe hovering over the children’s village. He traced the vibe to a middle aged man with a military haircut lurking about its periphery. He set out to work some Temple Dragon magic. “Howdy brother,” he said, approaching the fellow, “are we having fun yet? Hey, where’s your wristband? I’ve got some extra ones here…if you can’t afford the admission fee, that’s okay.” Hager hastened then in his best theatrical voice to introduce his charge to Plunker and security associate, Felipe. They happened to be walking by. The lurker proceeded to stalk off but word was spread among the Temple Dragons to keep an eye on him. Within an hour he had left the site never to return. Vibe secured, the rest of the Fair went well. For Steve Hager, Cannabis Cults stand at the centre of many major religions, the Herb recognized at one time as the greatest medicine and healer. The task today is to restore it to its rightful place. In the meantime, its supporters must protect their quest. The Temple Dragons, unique fusion of improvisation and faith, have taken on this responsibility. Their performance is magical. They pull troubled souls out of whatever funk they’ve fallen into and settle them into new psychic spaces, better ones. They produce new meanings. In doing so, they sustain the values of peaceful negotiation, a benefit that goes far beyond any struggle of the moment. When the methods succeed theatre, ceremony and ritual turn conflict into peace. This is true Alchemy—transformation at its best. Steven Hager, “The Fun Vibe” in Steven Hager, Adventures in the Counterculture: From Hip Hop To High Times, High Times Books, 2002. Wavy Gravy, Something Good for a Change: Random Notes on Peace Through Living, New York, St. Martin’s Press, 1992. Next article Holiday Cannabis Treats: Poppy Pot Now! Point of information. The Black men in Ferguson were armed. The Rainbow Family has been using similar types of this hippie security and there has been a lot of uncontrollable violence at recent national gatherings.In reality why is this put out now ? White aging hippies having a problem with property destruction and people fighting cops in the streets ? Systemic Racism [How many non whites work at High Times for example or have worked there in the past maybe 1 or 2 ?] and economic injustice are problems that need to be changed and addressed and people would in all reality laugh and run this type of security down the street if a bunch of white hippies even showed up. Come on get real this is a joke. Hi Red Riot Dog. You may have a point where is comes to race. Maybe the majority of people like the temple dragons are white. But if hippie alt. security has worked anywhere at all–which it has–that still makes it valuable, if not wonderful. As to the men at Ferguson, they may have been functioning in the best non-violent way they could, given the social setting. They didn’t shoot though. Cheers.